The Newell School District is proud to announce the start of the Newell Athletic Hall of Fame. 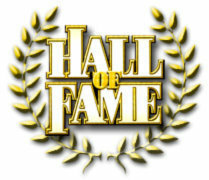 There will be three categories which a person my be inducted: contributor, coach/advisor or player/team. Newell has had so many great athletes/coaches/contributors which have left a positive legacy in Newell, we want to take time to recognize them for their efforts. Please read the links below to learn more about the Hall of Fame. If you feel there is someone deserving of this honor please use the nomination form attached. I ask that you please help spread the word to make this a huge success. If you have any question please feel free to call Mr.Schoenfish at 456-2393.